23 cm (9 inches) tall. 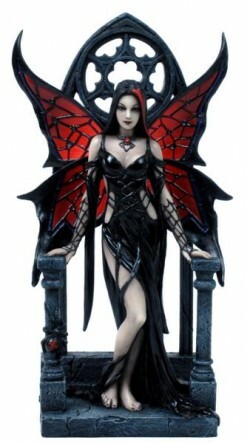 Beautiful finished gothic figurine from the Anne Stokes collection. Pale with a streak of red in her hair.